People make fun of the Indianapolis Colts for being ‘bad’, and rightfully so. Under the same consideration, and not as widely accepted a theory – the Houston Texans are just as bad, maybe worse the Colts. Getting handled by the Colts in this game only adds to that theory. Everyone thought the Texans were really good and on the rise with Deshaun Watson, but that was a little bit of a head-fake, a hysteria. Watson thumped the Titans when Marcus Mariota went down mid-game, then Houston got handled by KC, then they beat the Browns (so what), then lost to Seattle. Houston wasn’t playing all that great with Watson, but it looked a lot more fun and promising. The Texans may be one of the 3-5 worst teams in football. The Texans had the worst O-Line in football before Deshaun glossed that over with his sweet spread offense. The Texans have one of the worst defenses in the NFL…and are without J.J. Watt, again. Their linebacker group, without up and coming rookie Dylan Cole (injured), is as bad as there is in the league. Tom Savage is a stiff QB who needs extra time/protection to throw…and he’s not getting it with this O-Line. The Texans are about to hit a real tailspin. The Colts are pretty terrible as well. They’ve won close games against the league’s worst teams (CLE, SF, HOU) and been crushed otherwise. The Colts will likely not win another game until Week 17 against Houston gives them a fighting chance. These are two really bad football teams…and with the Titans about to sink – the Jaguars are going to be the class of the AFC South all 2017. -- Very strange RB usage pattern for the Texans in this game. For the 1st half of the game it looked like D’Onta Foreman (11-37-0, 0-0-0/1) was being given a push to be a split role RB or maybe even ‘the guy’. He was benched for attitude/effort a week ago, and then starting the second series and in a lot in the 1st half here. He had more carries (11-10) in the game than Lamar Miller…in a tight game. However, most of the work by Foreman was uninspiring. In the 2nd-half there was a lot more Lamar Miller…who didn’t do much of anything either. The Texans are about to fall down a hole. It’s possible Foreman is going to get an extended look in the fade away. I’m not sure that means a ton for him with this bad offense…but it might. Worst case, if you have Lamar Miller…it’s time to sell hot and get out before the full Texans collapse. -- Marlon Mack (9-29-0) had a surprisingly terrible fantasy game. Where did the sweet targets go? Where did my Alvin Kamara-alike player go? The Colts got up early on the Texans and then went into typical old-school Head Coach mode…try to sit on a 7-0 lead for 45+ minutes. The Colts held the lead the whole game and just tried to win via clock expiration. No heavy volume of dump passes and screens to Mack like prior weeks. More Frank Gore than we’ve seen in all year. When the Colts start going down…they tend to turn to Mack more for a boost or big play. The Colts led most of this game and they shied away from Mack in the passing game…is my only theory. However, the Colts are likely to lose every game the rest of the season…so, I’m a buyer of cheap Mack as an RB3 valuation that can be an RB1.5 in PPR because of easy, higher-volume targeting. Mack had a couple shots at a goal-line score but couldn’t covert in this game. The zero targets are more distressing, and not normal. Hopefully. -- Tom Savage (19-44 for 219 yards, 1 TD/0 INT) looked absolutely terrible in this game. I am no longer backing him as any type of sleeper, etc., forever. He is not made for this era of football. His window of opportunity closed a few years ago. Savage is a classic 1970s seven-step drop and sit in the pocket and look for a separation medium-deep to throw to – a cannon of an arm to deal it. In this era, WRs are used to quick routes, quick throws, or one-on-one ‘go get it’ passes. Savage excels at none of those things. He likes to throw lasers medium-deep and if it’s not there/open he’s in trouble. He’s in trouble all the time because the Houston O-Line can’t give him extra time. Savage threw the ball all over the place in this game. Even guys that were kinda opened…he sailed throws over their heads -- even with time to throw. I liked Savage coming out of college. I like(d) pocket passers over all other styles for years and thought he’d be a pretty solid NFL QB. He had a few moments of promise but several injuries and the change in passing philosophy of football in general – the league has passed him by. It’s over. He’ll have a terrible rest of season and be a fringe backup, maybe, the rest of his career. It is o-v-e-r.
-- One thing Tom Savage does like…Bruce Ellington (2-32-0/8). They’ve had a nice connection since the preseason. I’m not mentioning that because it’s time to get in on Ellington. I more mean that as ‘you better hurry up and trade Will Fuller (3-22-0/8) ASAP’. Fuller was already going to suffer with the change to Savage, but now he’ll be fighting Ellington for some targets as well. They are similar-ish WRs…but Ellington more willing to work underneath in traffic. -- Savage also made use of TE Stephen Anderson (4-44-0/6) and that has some fantasy people claiming ‘sleeper’ for the TE desperate, and I get that because Anderson is a decent TE. However, C.J. Fiedorowicz will be back this week or the next, assumedly, and whatever scraps anyone thought Anderson could get…CJF will cut into them. Fiedorowicz is more the sleeper here not Anderson. 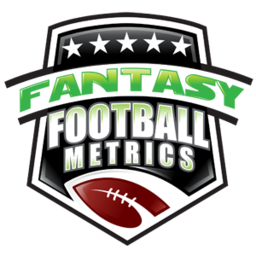 7.4 FF PPG (14.2 PPR) on 6.9 catches, 8.6 targets, 57.1 yards, 0.29 TDs per game. There’s the ‘Big 3’ Gronk-Ertz-Kelce…then Evan Engram and Jack Doyle rising, knocking on the ‘Big 3’ door…and then a massive drop off from there at PPR/fantasy tight end. -- T.Y. Hilton (5-175-2/9) had a great fantasy day, but half the goodness came from a solid catch, crashing to the ground, no one touched him, got back up and landed an 80-yard TD. Sometimes good luck shines…or bad luck if you were facing TYH last week. I don’t think this is a TYH turnaround…it’s a random spike against a bad defense. PIT, JAX, DEN are three of his next 5 contests – get out now! -- Matthias Farley (8 tackles, 1 PD), missed a game, comes right back and is a leading tackler for the Colts…as he is most weeks he’s playing. A consistent IDP option all season…a shock, of sorts. Speaking of Colts’ IDP shocks – Barkevious Mingo (7 tackles) delivered the 4th and goal hit on Tom Savage, knocking the ball out to win the game. Mingo had his best day in a long time, maybe ever, as a pro in this game. Mingo has 6.3 tackles per game the past three weeks as he is starting to show some minor signs of life.